they put to make another memorable evening. the ATA memorial behind the West London Aero Club. and of course Mrs Sylvia Neal. 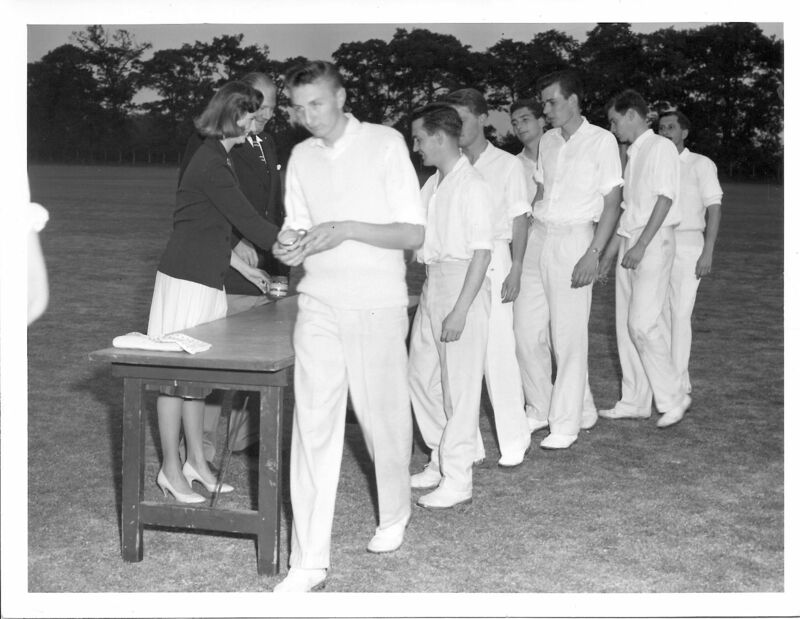 Cricket matches at White Waltham. 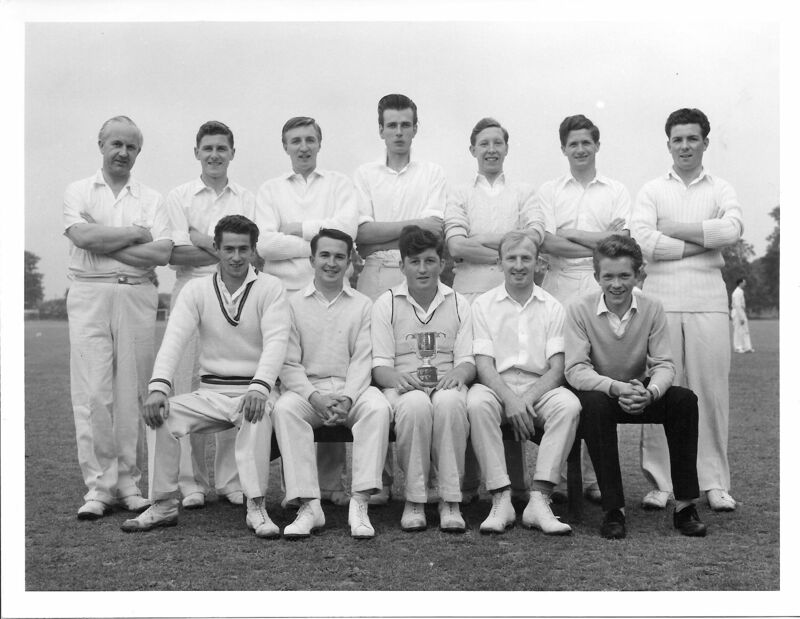 Back row L-R: ?, John Evans, Peter Forsey, Bill Steadman, Tony Walker, Tony Philips, John Turner, ? 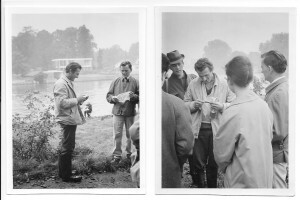 Pictures show John Watkins and Eddie Holmes , left, and with Graham Phillips on right photo. 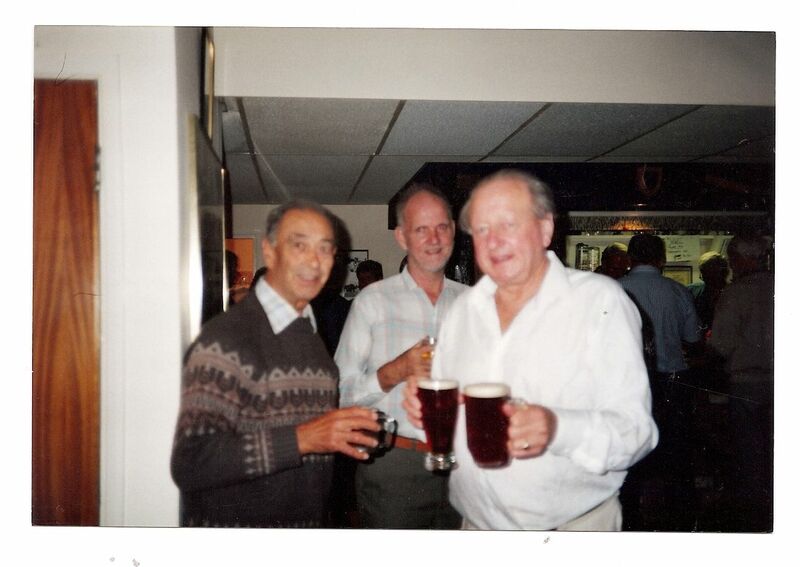 Amazing that this bunch of reprobates is still around, telling each other tales of the old days. 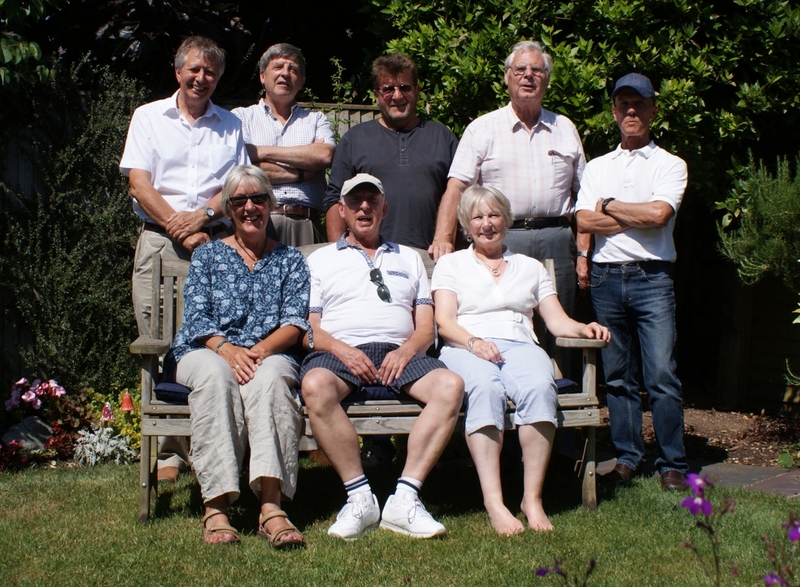 A few of the old Faireys, including five from the old Geophysics team, got together for lunch the day of the FSL reunion in July 2013. With many thanks to Carol and John Tompkins for the hospitality. 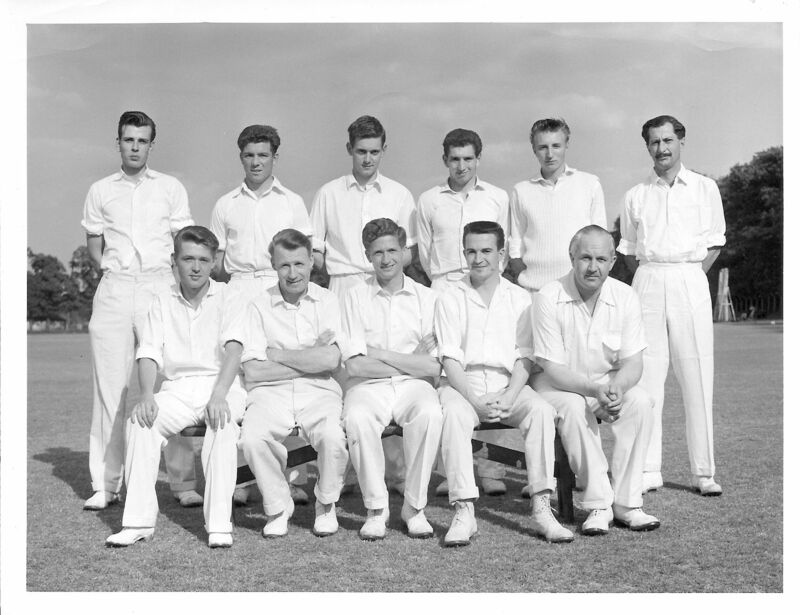 Back row, left to right: Derek Minter, Rob Wallace, Alex Copeland, Pete Lilley, Arthur Pinto Bastos. 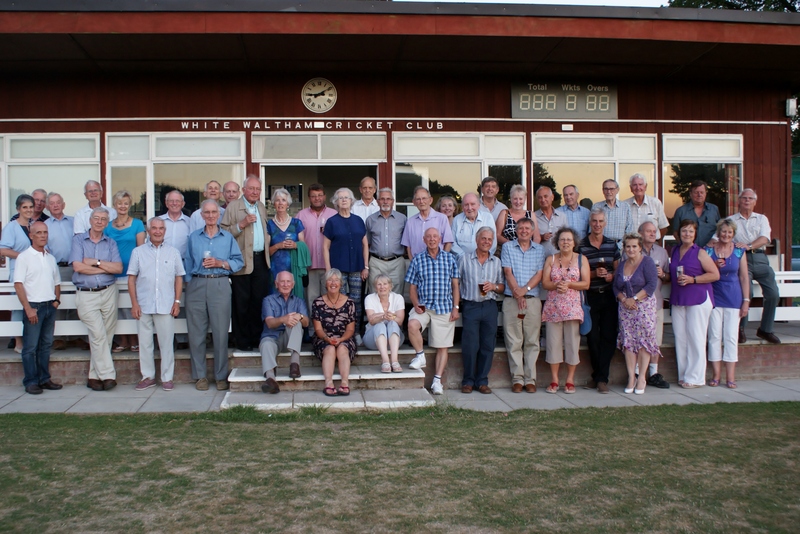 The reunion at White Waltham cricket club on 19th July had wonderful weather, and Arthur Bastos brought along a really good camera, so we took the opportunity to get a group picture – with apologies to those who may have left before it was taken. Click on the photograph to enlarge. If anyone would like a copy by email, please get in touch through the Contact page. 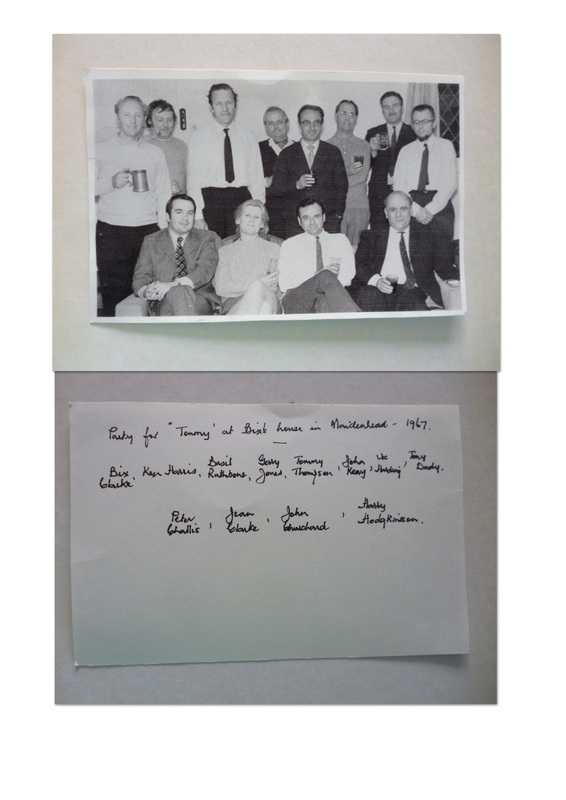 The second image is the numbered key, with all the names except for Peter Green’s daughter (please let us know!). This photograph was passed on by John Tompkins. 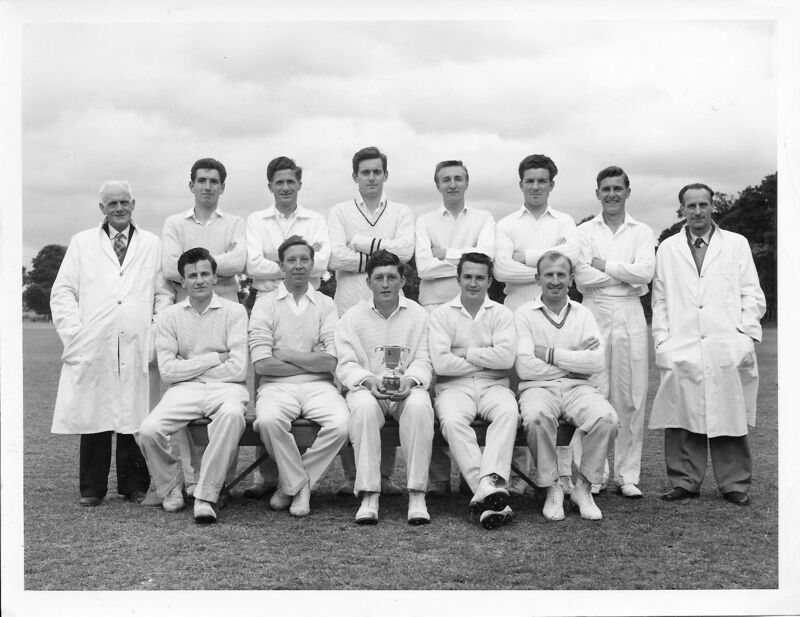 It has no date, but presumably was taken at one of the FSL reunions at the White Waltham cricket club. Apologies for the quality, but the original photograph is a bit out of focus. This photograph was in the album of Southern Rhodesia photographs from John Keay, passed on by Lawrence Scott. It seems more appropriate here! Click on the photograph to enlarge. 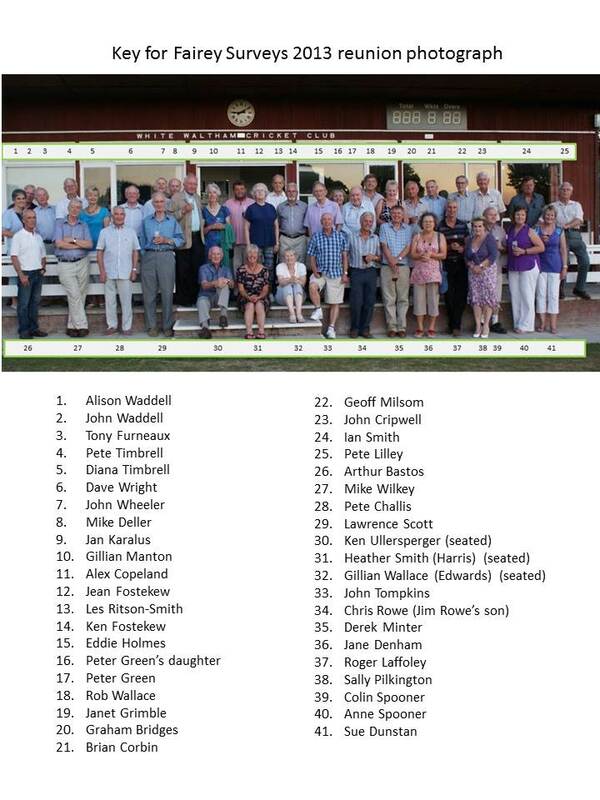 If anyone wants a higher resolution version, use the ‘Contact’ form for the request and a copy can be sent by email. 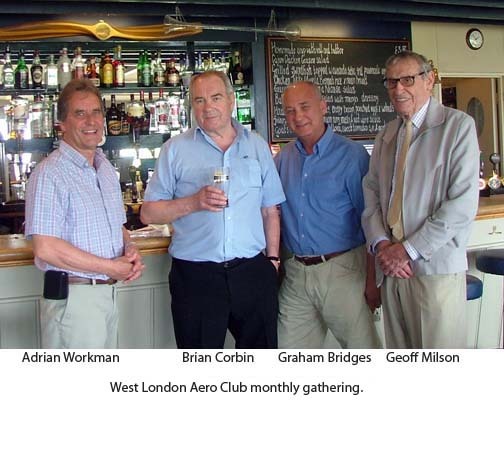 Adrian Workman sent in this photo of some familiar faces at the West London Aero Club monthly gathering. Summer 2012?